For the fall of my senior year I chose to study abroad in Milan, Italy. From August to December 2013, I was a student at Universitá Cattolica del Sacro Cuore. Everyone asked me why I decided to study abroad. Here is my answer. I had never been out of the country. I had barely traveled in the United States. After I graduate, I will probably never have the time (or money) to spend four months away. And, because I’m a journalist. I’m curious, and I was curious about the rest of the world. Studying abroad was my ticket for adventure, but also for a chance to learn and explore both myself and another part of the world. I think it’s important to note here that I did everything- I figured out the paperwork, I paid for my expenses. This was not a “mommy and daddy” sponsored vacation but a self-sufficient journey. While I was in Milan, I tried to travel as much as possible and take in as many experiences as possible. I traveled to 13 countries. I watched AC Milan play Barcelona in San Siro Stadium. I saw a ballet in La Scala. I drank German beer at Oktoberfest and waffles in Belgium. I jumped in the Mediterranean Sea on four separate occasions- and in four different beaches. I celebrated Christmas in London and New Year’s Eve in Barcelona. I met people from all over the world. I experienced and saw so many things that most people would only dream of; and I feel humbled and honored to have had these opportunities. Studying abroad made me a more self-sufficient and independent person; however, it also made me better at communication and problem solving. While I was in a foreign country and did not speak the language, I became resourceful when I had a problem. Sometimes, I had no choice but to rely on the kindness of strangers. 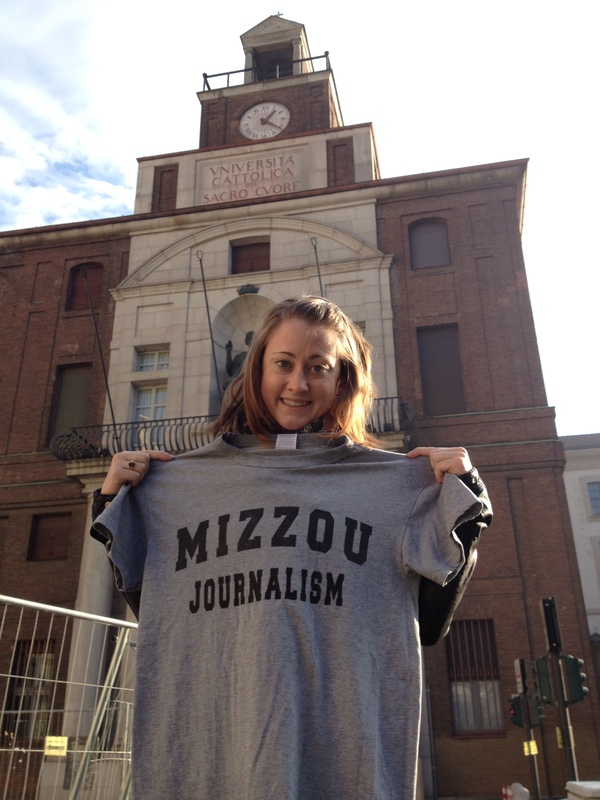 This experience changed my life as an individual and a journalist.